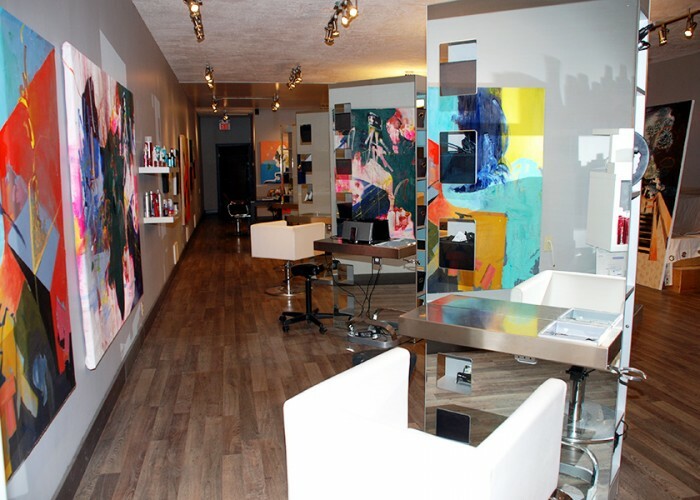 “I’ve been a hairstylist for years now,” says mudHoney Salon owner Kim Synyshyn. 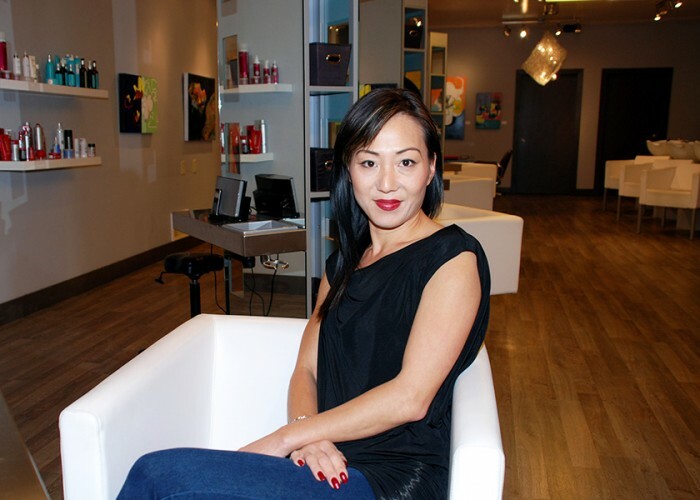 Kim received her training at two different institutions in Edmonton before eventually opening her business in 2007. She has also been an educator and national platform artist for two different manufacturers. Her success, in part, is thanks to her husband, whom Kim credits with helping her find the confidence to pursue her vision. “I wanted to create a space where hairstylists felt comfortable to create and to collaborate,” she says. That comfortable environment is key to the success of her business, as it puts customers at ease when they walk in the door. Whether they’re a first-time walk-in, or a long-time regular, Kim focuses on making her clients feel great about themselves. 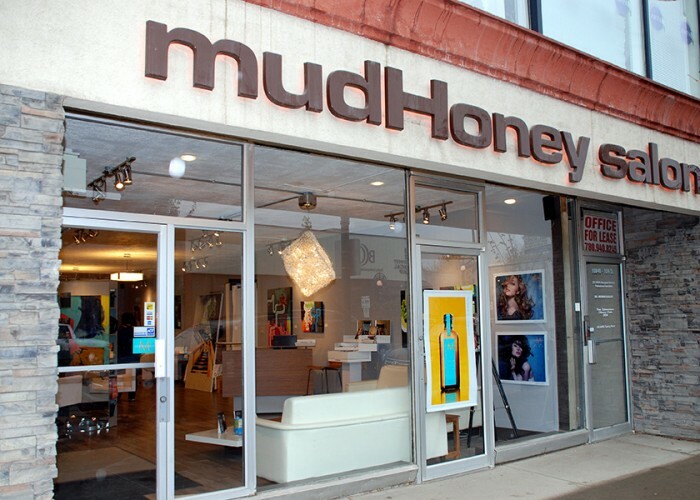 Owner Kim Synyshyn received her training at two different institutions in Edmonton before eventually opening mudHoney Salon in 2007.
mudHoney Salon is known for its impressive work with bold colours. It’s a reputation Kim’s worked hard to establish over the years. When it comes to colour, Kim says that people know they’ll get a quality job done at her salon. While extensions are proving to be the most popular service she provides,mudHoney Salon also offers a unique hair loss therapy that was initially designed for cancer patients. Kim says its effectiveness is around 30% for regained hair, which is good news for her customers. “Hair loss is becoming more prevalent within the female population,” she says.